Eric Rolf, my precious friend since many years has left his body. Eric, international lecturer, course leader, former personal consultant to John Lennon, Yoko Ono, Paul Simon and Carlos Santana and author of the book “Soul Medicine”, wrote the foreword to my first book in English, “The Silent Whisperings of the Heart”. Eric says in the foreword: “It has been now more than 22 years since I first met Swami Dhyan Giten and we established our timeless friendship. It was on a sunny July afternoon on a street in Stockholm in 1982. It was my first of several trips there during the 80s and early 90s. He was with his then girlfriend and I stopped them to ask a question. Very quickly the conversation became warm and friendly and they invited me to join them for a coffee. He continues: It is certainly true that the seed, the beginning, determines the fruit. It is more than curious and certainly not random coincidence, that pretty much that was how most of our meetings took place through the years. We would run into each other, often at places we both frequented, but mostly on the street. And in most cases, if not all, we were both available for the cup of coffee and the conversation of the moment which always seemed to have significance for both of us. It was magical. Whenever I arrived in Stockholm, I knew that within a few days I would run into Giten. It has been now more than 22 years since I first met Swami Dhyan Giten and we established our timeless friendship. It was on a sunny July afternoon on a street in Stockholm in 1982. It was my first of several trips there during the 80s and early 90s. He was with his then girlfriend and I stopped them to ask a question. Very quickly the conversation became warm and friendly and they invited me to join them for a coffee. It is certainly true that the seed, the beginning, determines the fruit. It is more than curious and certainly not random coincidence, that pretty much that was how most of our meetings took place through the years. We would run into each other, often at places we both frequented, but mostly on the street. And in most cases, if not all, we were both available for the cup of coffee and the conversation of the moment which always seemed to have significance for both of us. It was magical. Whenever I arrived in Stockholm, I knew that within a few days I would run into Giten. And so, I did, again and again and again, throughout the 80s and into the early 90s. Now that I no longer visit Stockholm on any kind of regular basis, we run into each other on the virtual streets of the Internet. 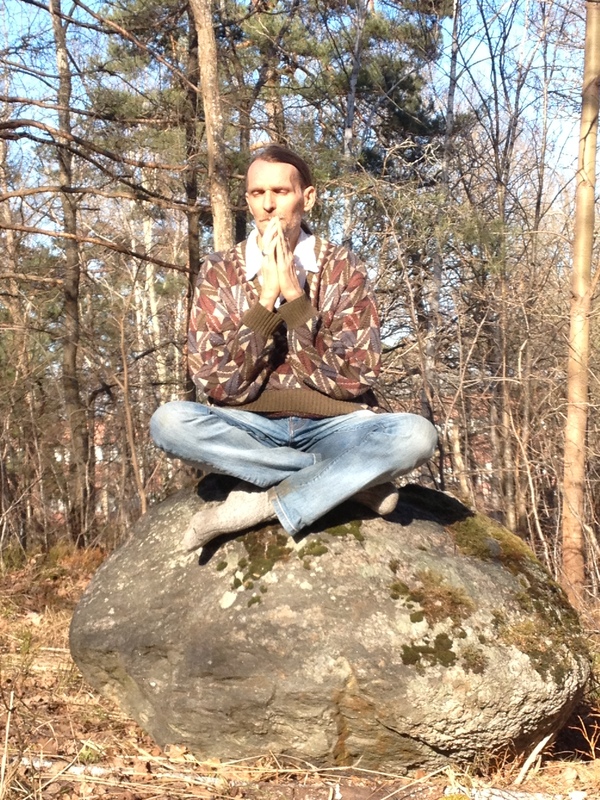 While we were both interested in meditation and both of us conducted groups of various types – in Sweden I worked as much with companies in the creativity and communications field as I did with individuals – the topic that most often was the center of our conversation was the matter of intuition, the inner attention, listening to the whispers of the heart. It’s possible that Giten was one of the few who were able to grasp the significance and implications of the inner creative language model I had developed without having to get overly involved in the specifics, although he was quite aware of their existence and validity. In The Whisperings of the Heart, Giten points at the variety of ways in which our inner being expresses itself in terms of our actions and our relationships. He also provides insights in various areas, including of course, those of healing and intuition, meditation, art and creativity, communications, loving relationships with both friends and family, working with people from love and awareness and spiritual maturity. His comments are both useful as well as joyful and inspirational. More than anything, they motivate us to taste where we may not have fully tasted before, to taste the beyond. Giten invites us to a celebration, a feast for the soul and delights us and inspires us with capsules of insight and conscious affirmation of the deliciousness of the divine.